The headlines around this car are that it doesn’t share the whole engine with the M4, it doesn’t share the twin turbos, but it does have almost the same 0-100 time of 4.3 seconds with the DCT gearbox as the M4, and 0.2 seconds slower with the manual. For those really interested, the engine shares pistons and seal shells with the M4, and has a single twin-scroll turbocharger instead. But that’s not really important. The really important bit there for me is the manual gearbox. What this does is cements the car’s purpose as a driver’s car. So, it’s my kinda car for sure. Unfortunately, here in South Africa I doubt it will be the case. 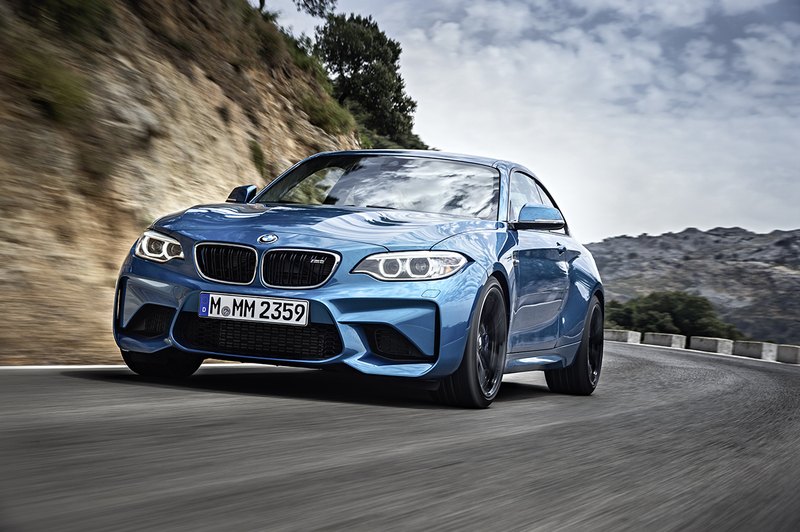 Of course there hasn’t been any official announcement or launch yet, but I will bet you any money the complete M2 consignment has already been sold out, and that not a single one will have a manual gearbox. How can I be sure? You don’t walk into a BMW dealership in South Africa and offer cash for a specific model with your specific requirements, unless it’s a low 1, 3 or 5 series model. Because our small market always get limited numbers, the good cars have all first been offered to the BMW-lifers exchanging their old 135i models and who can’t care less about driving a manual car. Subsequently all of them are always sold out or there is a waiting list of more than a year well before launch, and none of them will have a manual gearbox. I can also guarantee that not one of the press demonstrators will have one either because buttons and DCT programs and launch control! It’s a shame, and I decry the demise of the manual gearbox. My recent purchase of a family bus was guided by who offers a manual, which meant I had to settle for the base model. Subsequently I hear from the dealer that other customers are complaining they don’t get good enough mileage, where-as I get very close to the claimed figures and get to rev-match and heel-toe while doing it. For those looking for a simple and clear driver’s car, the options are getting limited in modern times. You can still get a WRX, the GT-86 and the MX-5 (also a year waiting list now) in manual, although only the Subaru offers real saloon practicality. Then you jump to the Porsche Boxter Spyder which you might still be able to get. There's really nothing in between and absolutely nothing beyond. So, as good as this car sounds, you can forget about it.